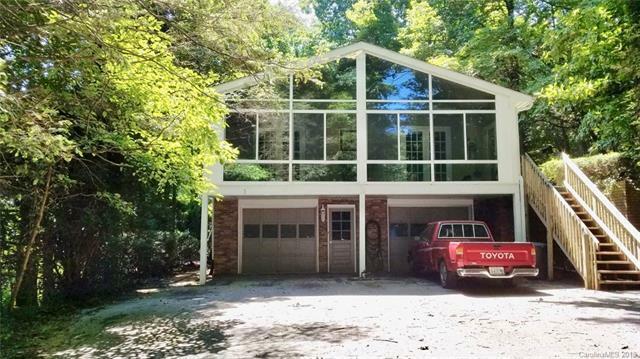 MOTIVATED SELLER on this PRIVATE, Natural, wooded lot, lowest price per sq.foot around! ($106) Wonderful, large 4 bedroom home in the lovely neighborhood of Long John Mountain. Winter mountain views, updated, beautiful kitchen & baths, gleaming hardwood floors, awesome glassed in 30 ft long 3 season room, great living areas include 1st floor family room as well as living room w/gas fireplace. New carpet in bedrooms, fresh paint, move-in & enjoy. Room for stackable washer/dryer on main level. Only 10 minutes to town, hospital, library, yet with true mountain feel. Private, serene, start your mountain life here!